Operating nationally, for main contractors and direct to the client, we are able to offer a complete package of design, supply and installation. We provide a complete industrial roofing and cladding service, from a free quotation to the successful completion of a contract. 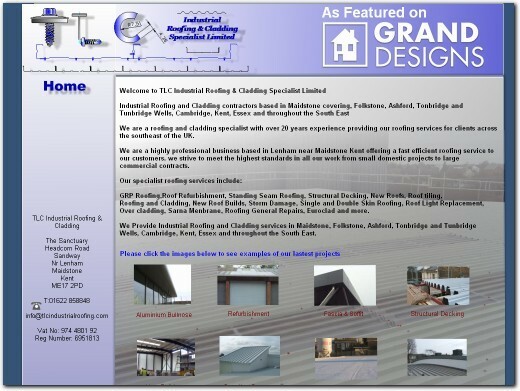 UK (Maidstone, Kent) based company - with over 20 years' experience - providing roofing services. Website includes details of services provided, details of past projects, details of health and safety policies followed, press and media mentions (Grand Designs), full company contact details including company registration and VAT numbers.